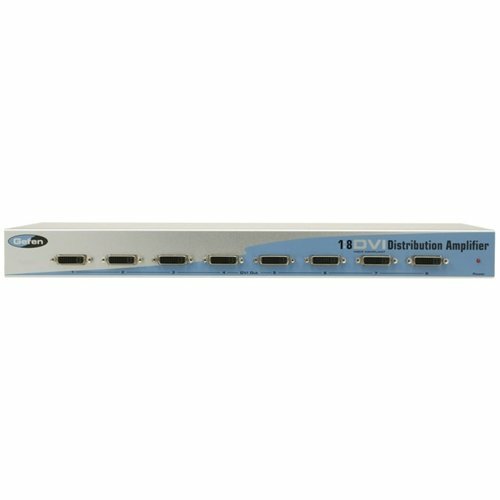 The 1x8 DVI Distribution Amplifier is the perfect solution for anyone who needs to send one source of digital high definition video to multiple displays at the same time. It supports all DVI equipment, such as computers, HD-DVD players and satellite set top boxes and all DVI displays. DVI (digital visual interface) is a common connector used throughout the industry to connect digital video displays to video sources. In operation, the digital video source is connected to the distribution amplifier on one side. On the other side, eight video outputs are available to be used in part or in full. Once the unit is connected and powered, your video source is routed to up to eight digital displays at the same time.